FUN! FITNESS! DANCE! Most unique classes in Calgary! Lose weight and have fun! Free Spirit Dance offers classes that are guaranteed to help you lose weight and most importantly have fun doing it! All our fitness classes listed below are on a drop-in basis and ongoing throughout the year. All classes can be attended with our drop-in passes. Curious about our dance classes that also help you lose weight? Click here to see what dance classes we have to offer. Ballet Barre Blast: A full body workout done ballet style. We use the barre to support us through basic ballet exercises, weights and bands. This workout will tone, burn calories, strengthen and lengthen muscles and build flexibility. Lose weight and have fun! Suitable for all ages and levels, graceful or not! No ballet experience necessary. Beach Body Barre: A full body workout done ballet style using weights and resistance bands. This workout is designed to tone the entire body and get you into that bathing suit loud and proud. Lose weight and have fun! Suitable for all ages and levels, graceful or not! No previous ballet experience required. Booty LIft Triple Threat (Boxing. 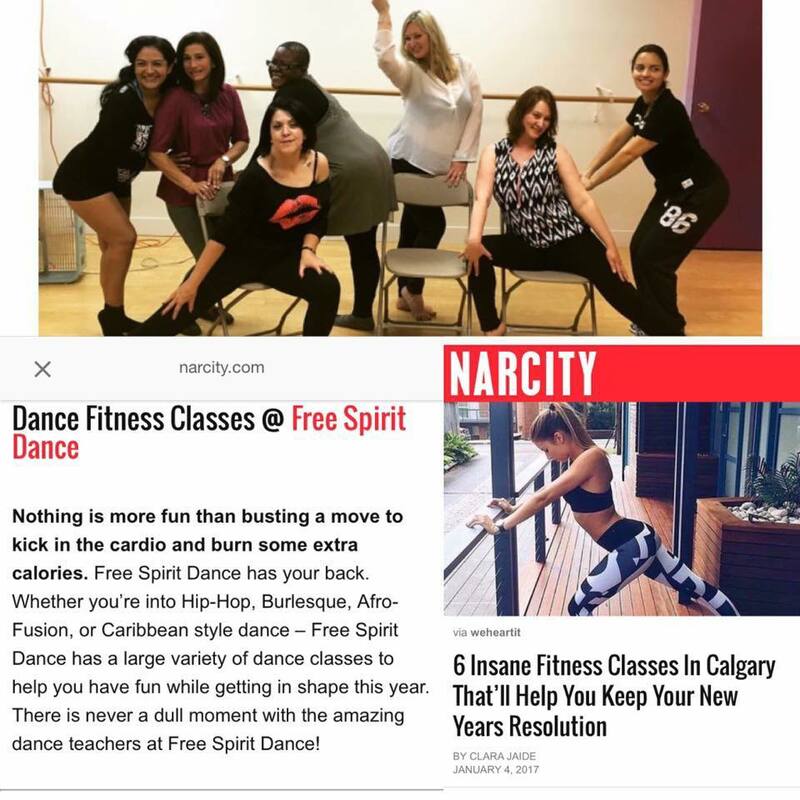 Barre & StepFit): Free Spirit Dance’s newest signature class will lift that booty good! Get the gym benefits of interval training using the “Triple Threat” fat-burning mix of boxing, barre and the stepper. This unique class will lift that booty higher than you ever thought possible! Using high repetition with low weight loads to help you lean, shape and tone for a total body workout. Beyonce isn’t the only one who can be bootyliscious! You can be too! StepFit Pump & Groove: Want the best of both worlds? Get the benefits of interval training like you would at the gym using the stepper mixed with high energy cardio grooves to help you lose weight and have fun. This unique class uses high repetition with low weight loads to help you lean, shape and tone. This class will transform your body by developing strength and endurance in major muscle groups. The cardio component will have you movin’ and groovin’ with chart topping music that lights you up. Most importantly, you will have fun! Yoga Cardio Beat: A unique dance infused yoga class that will get you sweating and smiling. Forget what you think yoga can look like and come experience a whole new mind and body workout. Expect the unexpected! We begin with traditional yoga poses, and then add upbeat music, pulsing, jumping, shaking, and lots of core work. Lose weight and have fun! Zumba Fitness: Zumba classes feature exotic rhythms set to high-energy Latin and international beats. Each high-cardio class will also focus on different areas for strengthening: core, arms or legs. All classes end with a cool down and stretch. It’s easy, fun and no experience is necessary. First Saturday of the Month Free Class for New Clients New to Free Spirit Dance? 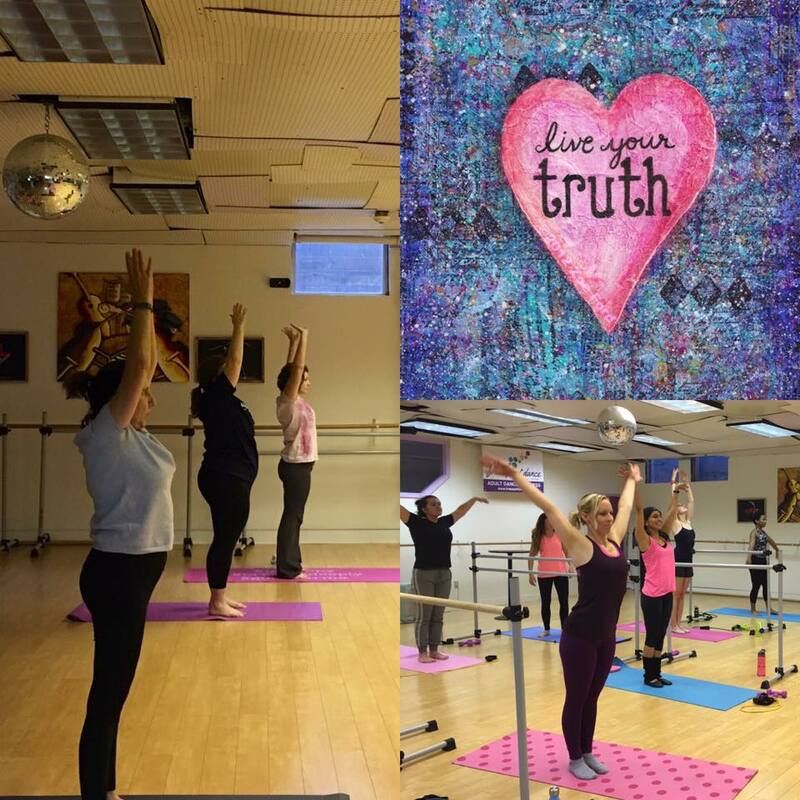 Come try a class for free! This class is for new clients only and happens the first Sunday of every month. This class is designed to make everyone feel comfortable and get a taste of what we offer at the studio! Each month we rotate the type of free dance or fitness class offered. Check our schedule to see what FSD is offering this month. NOTE: schedule is subject to change as we are closed all holiday long weekends. Please see our schedule online before dropping in. Must sign up online for this class! We look forward to meeting you and dancing with you!